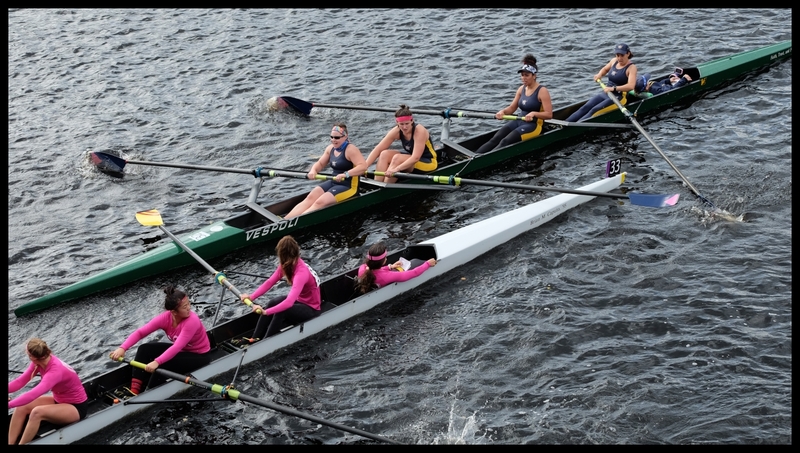 Crews marshalling below the start with the Boston skyline in the background – the gold dome is the top of the Massachusetts State House. 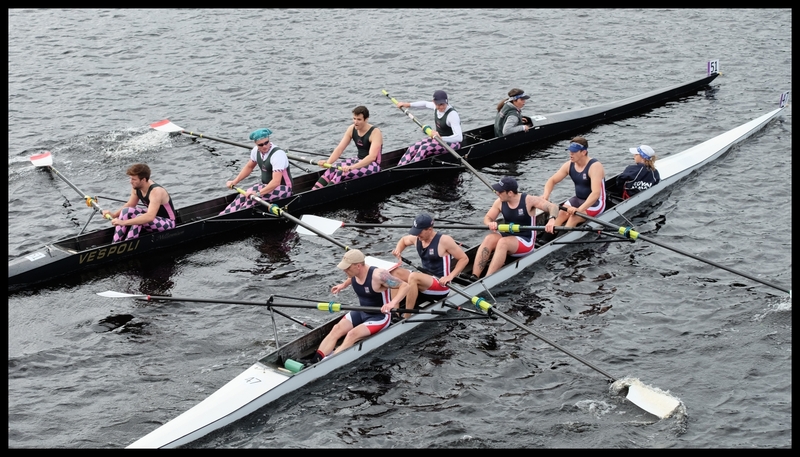 Daniel Walker visited the 2018 Head of the Charles Regatta (HOCR) on 20-21 October for the first time. 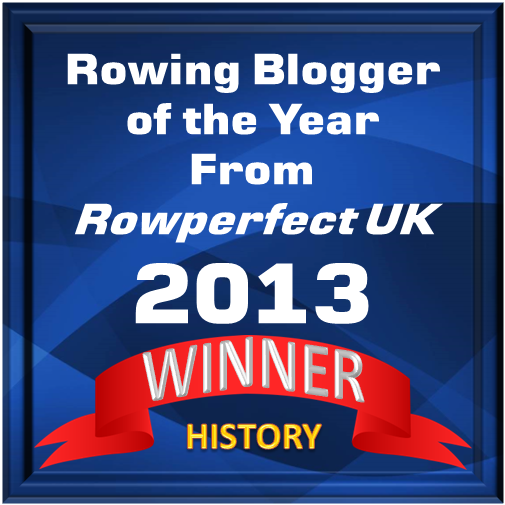 He accompanied three crews from Auriol Kensington Rowing Club (AKRC), London, two Men’s Club Fours and a Women’s Club Four. Here is Daniel’s picture cavalcade. 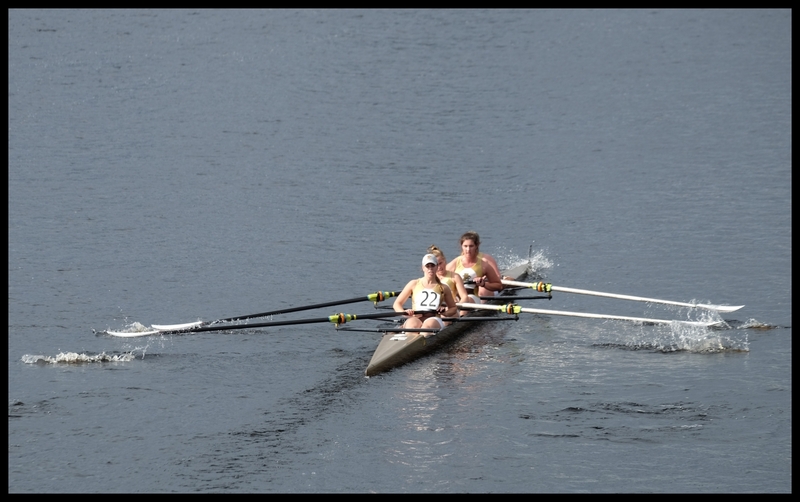 The following pictures were all taken on the Saturday of the regatta. Looking across to the Cambridge side. 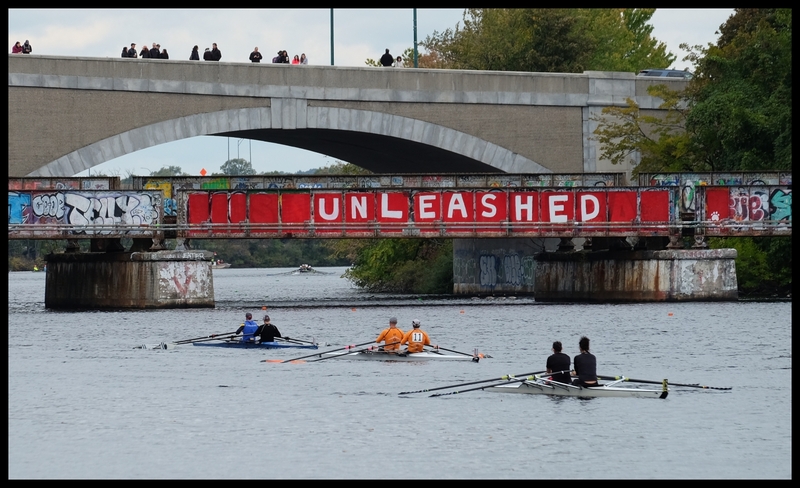 Marshalling crews heading through the Boston University Bridge – the logo changes every year. 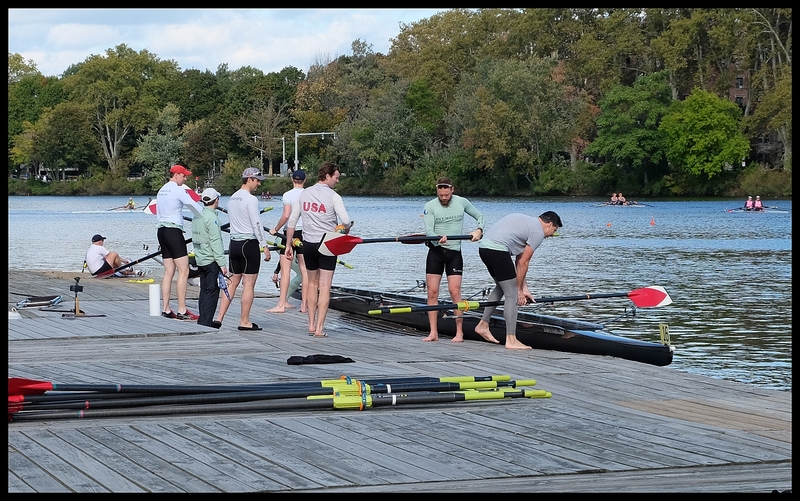 This bridge is immediately after the start at the BU boat house. 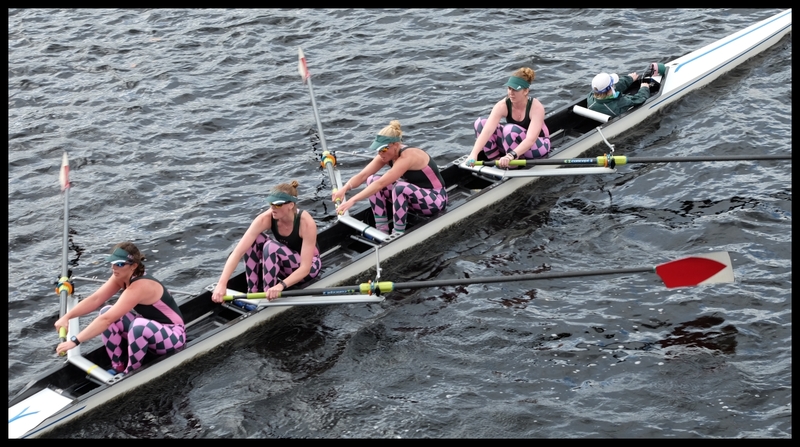 Riverside Boat Club along the ‘powerhouse stretch’ – approximately a mile of straight rowing shortly after the start. Weld Boathouse at roughly the halfway mark – currently used by Radcliffe Women’s Crew (Harvard). 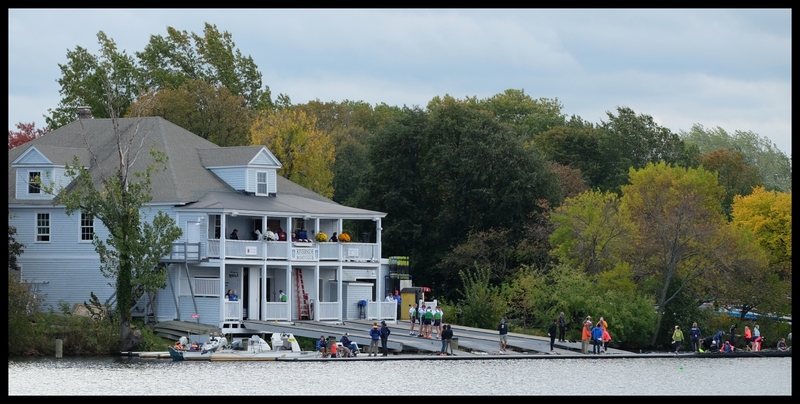 Harvard “boat shed” – immediately after a fairly tight right turn through the Anderson Bridge. Both this picture and almost all the later racing pictures were taken from Anderson Bridge. 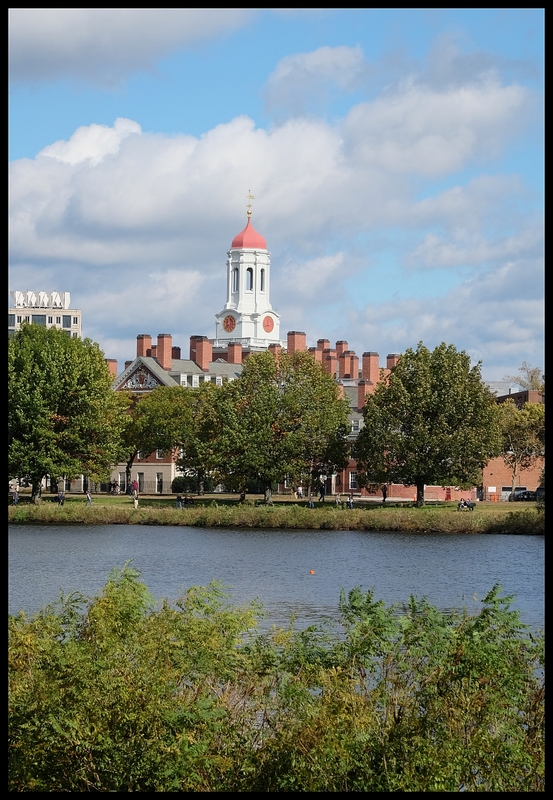 This is the home of the Harvard men. 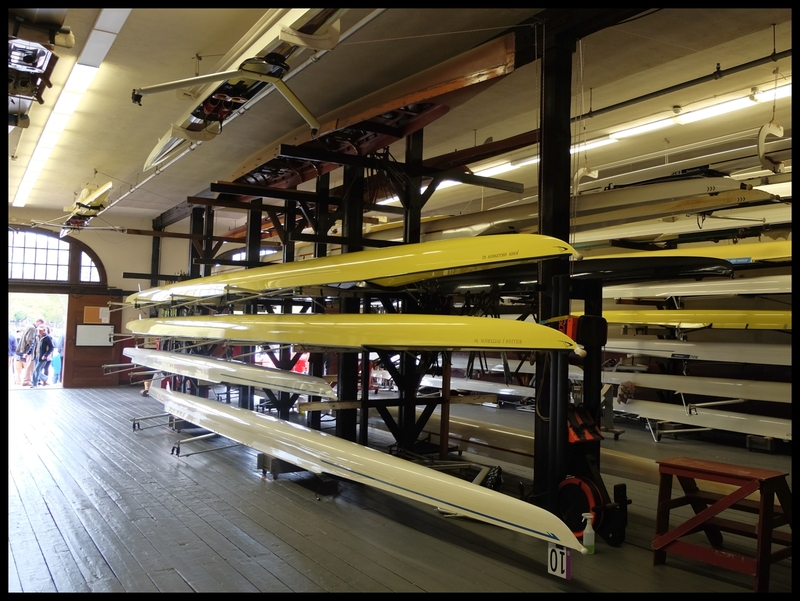 Inside the Harvard ‘boat shed’ … jealous much? 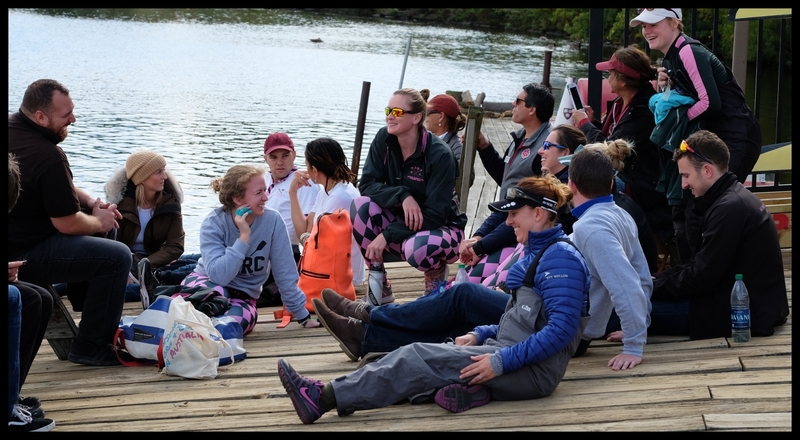 The AKRC crews, coaches and supporters relaxing before boating. 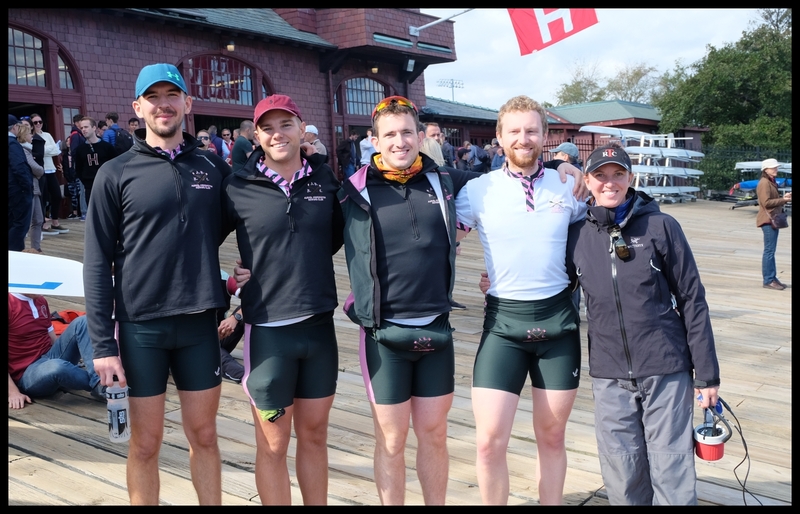 Crabtree BC (Cambridge Alumni) getting ready to boat for event 18 – Men’s Alumni Eights. 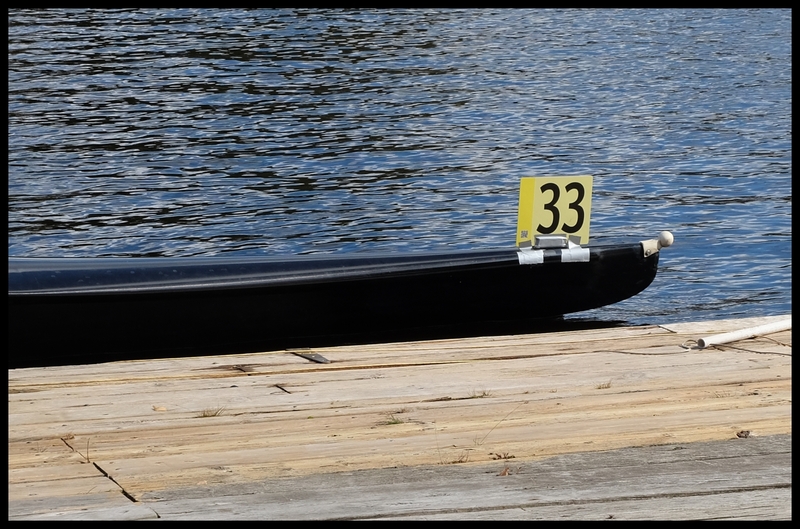 Bow number fitted and ready to race. 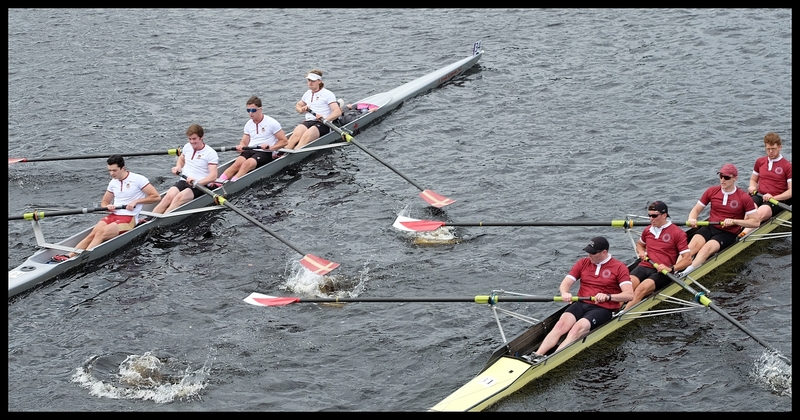 The AKRC Men’s first Four before going afloat. Men’s eight (possibly Friends of California) shooting the Anderson Bridge. Messalonskee Rowing Club pulling away from the Anderson Bridge. Men’s Club Fours overtaking politely. 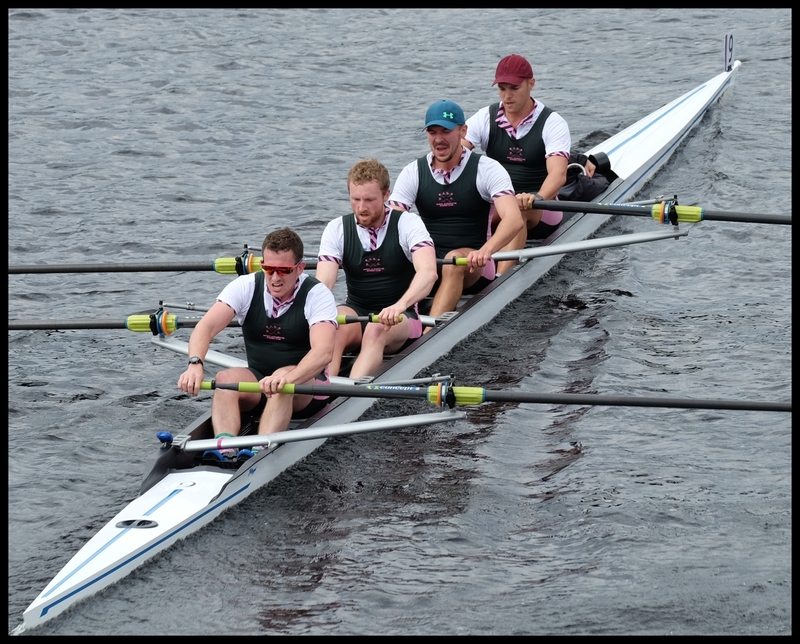 AKRC Men’s first Club Four. Men’s Club Fours overtaking slightly less politely but still maintaining speaking terms. AKRC Men’s second Club Four are no longer Facebook friends with the senior service as they attempt to overtake Royal Navy & Royal Marines ARA. Having extricated themselves from the RN&RM four AKRC manage to get struck off the Mosman RC Christmas Card list. Lehigh University in glorious isolation. DC Strokes RC and Iona College sharing some steering advice. AKRC Women’s Club Four keeping out of trouble. 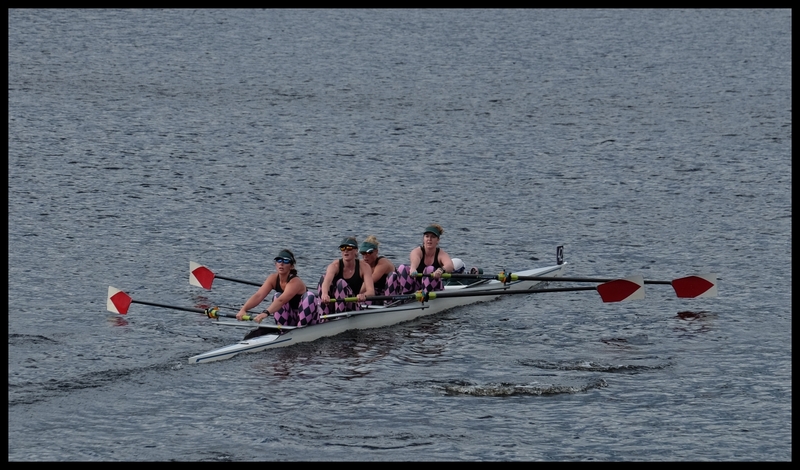 Final shot of the AKRC Women’s Club Four.